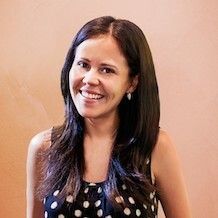 Blanca Menchaca is the co-founder and chief operating officer of one of the fastest growing travel start-ups in Asia, BeMyGuest, currently the largest aggregator of Asian activities and tours globally with a database of over 14,000 inventory of attractions, day tours, activities, private tours and local experiences in more than 600 destinations. In her role as COO, Blanca is responsible for managing a highly multicultural Asian operation with teams spread out across Singapore, Philippines, China, Vietnam, Thailand, Indonesia, Malaysia and currently expanding to India. Prior to BeMyGuest, Blanca was the Global Head of Online Marketing at Wego.com, another successful Asian travel start-up at the time. She helped the company build teams across Singapore, Indonesia, India and Middle East. Blanca was born in Mexico but has gained most of her travel and e-commerce experience abroad, with 6 years in Australia and 7 years in Asia so far.